How is the central role of advertising as a business model shifting? 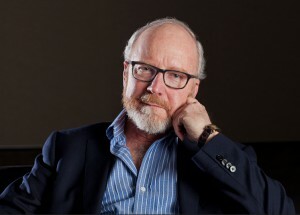 John Hagel, co-chairman for Deloitte’s Center for the Edge, shares his insights. In a blog post earlier this year, I explored the emergence and evolution of new business models enabled by digital technology infrastructures. At the very end of that blog post, as a teaser, I mentioned in passing that advertising business models are unlikely to be sustainable as the Big Shift unfolds. Now, that’s a pretty bold statement given that it’s one of the most widespread business models, especially in the media business and Internet businesses. This business model is also being aided by technology that helps advertisers to target their audiences more precisely and to follow people in physical space through their smartphones, rather than simply waiting for them to get in front of their TV or their computer. How could I possibly suggest that the advertising business model may not be sustainable? Well, one big red flag is the spread of ad blocking technology. According to Fortune magazine, use of mobile and desktop ad blocking software grew by 41% worldwide and by 48% in the U.S. between Q2 2014 and Q2 2015. According to PageFair, use of this software quadrupled between 2013 and 2015 to 200 million monthly active users. If advertisements are so useful to consumers with all this wonderful targeting, why is the use of ad blocking software exploding globally? To understand the dynamics underlying these numbers, we need to explore a paradox about consumers – we are becoming more and more powerful at the very same time that we are experiencing more and more pressure. What do I mean? Growing power is simple – as consumers, we have far more choice regarding products and vendors, more information about those choices and more ability to switch from one vendor to another if we don’t feel that our needs are being met. But, at the same time, we’re all experiencing increasing pressure in our work lives and our personal lives.Our jobs that we used to take for granted are becoming less and less dependable. We find ourselves working harder just to maintain our current positions, much less getting ahead, while our personal lives (including sleep) cannot be ignored. Time has become a very precious asset and we feel increasing pressure to get more and more value from each unit of time that we spend. We need to find ways to increase our impact in each minute and hour of the day. Now, I’ve written often about the growing importance of this form of ROA, including here and here. In the past, I’ve focused in particular on the challenge we all face in our personal lives with more and more vendors competing for our attention. This challenge will only intensify as we see growing fragmentation of product and service businesses. But there’s another piece to this puzzle that deserves more attention and that’s our desire and need to learn more and faster. We want to make the best choices possible and that becomes more challenging when we not only have more choices, but those choices evolve at an ever accelerating pace. And, once those choices have been made, we want to get as much impact and value from those choices as possible. We’re moving away from a traditional consumer society where the value resided in ownership of the object itself to one where the value resides in the usage of the product and the impact that we can achieve from that usage. Now, we feel an increasing need to learn more about the ways we can use the product to get even more value. In this changing environment, vendors of products and services will need to become more adept at accelerating learning of consumers, both in the pre-purchase and post-purchase phases. As I discussed in my earlier blog on business models, this will involve a profound shift in mindset from doing transactions to building rich and sustaining relationships that will enable the vendor to become more and more helpful to the consumer. What are some of the implications of this shift? It will certainly vary by product or service, but there are some broad opportunities to be explored. For example, most vendors do not come close to leveraging their Internet presence given this growing need of consumers to learn and to increase their return on attention. One simple tool is to ask the visitor some short and quick questions that will help to personalize content and interactions to more directly meet their needs. The key here is to give value back to the visitor as quickly as possible. This will reinforce in their minds that you were able to be more helpful when they gave you some information and will increase their willingness to offer more information in return for even more value. In designing these interactions, it’s important to ask: what is the minimum information required to deliver maximum value back to the visitor? A bigger stretch is for the vendor to resist the temptation to keep others out of the interaction with the visitor to the website. Remember, the key goal is to help the visitor learn faster. Often, that can be done by connecting them to third parties that could be particularly helpful in sorting through the choices they need to make or the approaches that will help them to get the most value from the product or service once they have bought it. It might even involve connecting them with other customers so that they can learn from each other. The key is to create a website with a rich set of experiences shaped by a broad range of resources mobilized from third parties as well as other customers. And it’s not just about re-thinking websites. What about re-thinking the physical retail store experience? Today, the focus of more and more stores is on transactions – maximizing selection to increase the likelihood of a purchase. Salespeople have been steadily reduced as shelf space has been steadily expanded. As I’ve written in a major research report on the future of retailing, this is likely to be a losing proposition relative to the infinite shelf space that is available from online retailers. I would suggest that, increasingly, [inlinetweet prefix=”RT @jhagel” tweeter=”” suffix=””]the future of physical retailing lies in creating rich “experience bazaars”[/inlinetweet] that help to amplify return on attention for the consumer. While these kinds of online and physical store experiences are quite different from the experiences that most vendors create for us today, they could be very rewarding for the vendors. Vendors also will be increasingly driven by a return on attention metric in their marketing. How much do they need to spend to get a unit of attention from a consumer and how much revenue can they ultimately generate from that unit of attention In this context, these learning experiences created for the consumer can also be significant learning experiences for the vendors. They will learn far more about their consumers and their unique contexts than they ever did with conventional transaction based business models. That learning can be used to become even more helpful to the consumer, in terms of designing more valuable experiences for the consumer and in terms of designing (or re-designing) products and services that deliver even more value to the consumer. If we take this logic to the next step, two other metrics become more and more important for both consumers and vendors – ROI and ROS. In this case, ROI stands for return on information. From a consumer perspective, how much value do I receive in return for whatever information I provide to a vendor about myself? From a vendor perspective, how much revenue can the vendor generate from the information they receive from their consumers? And ROS? Here, it means return on skills. As mentioned earlier, we in consumers are under increasing pressure to develop greater skills both in terms of picking the right products or services and, equally importantly, in getting as much value from the products and services once we have bought them. The key question for us as consumers is how much time and effort must we spend to develop the skills that are most important to us? On the other side, vendors need to rapidly improve their skills in serving evolving consumer needs more effectively – how much time and effort are they investing to evolve these skills and how much value are they generating for themselves from these skills? It turns out that all of the emerging business models that I outlined in my earlier post are focused on accelerating learning for both the customer and the vendor. As these business models gain traction, we will also need to re-think our approach to marketing and that in turn will challenge the business models that today rely on advertising as a primary revenue source. Here’s the thing. As vendors become more adept at increasing return on attention for their customers, their need to advertise is likely to diminish. If they are more and more helpful to their customers, word of mouth will spread among customers and they will flock to the vendors who can improve their return on attention. And, it won’t be just word of mouth among customers. On the product side, curators are likely to emerge to help customers sort through the ever expanding variety of products and services given deep expertise in certain categories of product and services. On the customer side, I have written about the emergence of trusted advisors who will invest in deeply understanding us as individual customers and become more and more helpful to us in recommending products or services we may not even have asked about. With all of these resources to draw on, what is the value of conventional product advertising to the customer or to the vendor? It’s likely to diminish in importance. As I’ve written elsewhere, [inlinetweet prefix=”RT @jhagel” tweeter=”” suffix=””]the power of pull will replace the diminishing power of push[/inlinetweet]. We will see much more helpful forms of marketing evolve – an approach that I’ve called collaboration marketing. In this rapidly evolving world, companies that continue to rely on advertising as a business model are likely to experience growing pressure. Customers will gladly pay for the opportunity to increase return on attention and find ever more sophisticated ways to evade the classic push model of advertising. This isn’t going to happen overnight. Companies have both the blessing of time and the curse of time. The blessing is that there is time to evolve and develop new business models. The curse is that, because this will not happen overnight, there is an understandable but very dangerous tendency to become complacent and not move aggressively enough to avoid the cliff ahead.